Close on the heels of Looks Like No Queen Coronation For Paula White, here at Apprising Ministries, now comes yet another royal twist. 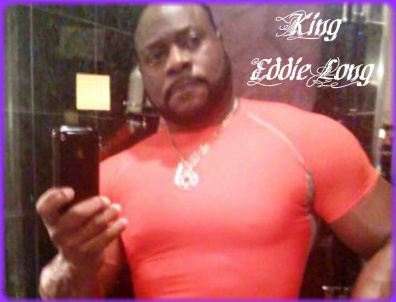 Bishop Eddie Long has apologized to the Anti-Defamation League for a ceremony last Sunday at his New Birth Missionary Baptist Church, in which he was wrapped in a sacred Torah scroll and carried upon a throne. In a letter addressed to Nigut Long wrote he was “deeply sorry” that the ceremony caused harm to the Jewish community. This begs the question: Then why did Long have in that spiritual wingnut “Rabbi” Ralph Messer and participate in that ridiculous and blasphemous service in the first place? 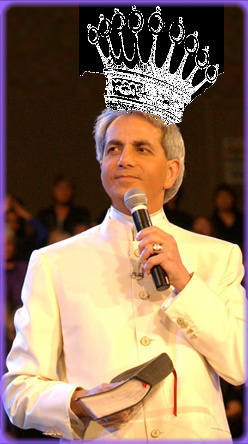 Hmm, could it be the first real King of Word Faith will be Benny Hinn?